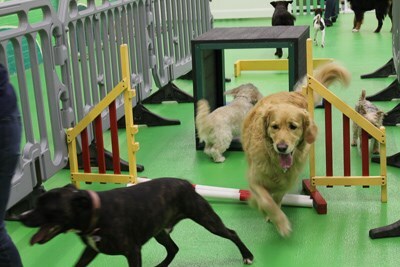 Inside Rags & Bert's doggy day care centre, 3,000 sq ft of space for dogs to rest and play. Dog relaxing Dog relaxing at Rags & Bert's doggy day care. Dog relaxing at Rags & Bert's doggy day care. Getting to know your dog and understanding his or her needs is really important at Rags & Bert's. Our instructors offer a free 2 hr enrolment session aimed at helping you settle your dog and prepare for the upcoming classes. 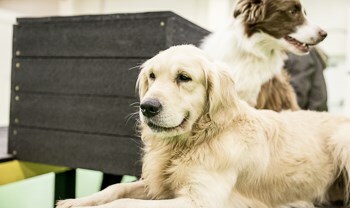 Learning to settle dogs is an important step to help both owners and dogs get the most out of the training sessions. Many customers find this a really important and beneficial step in the learning process. Play is a really important part of the day at Rags & Bert's doggy day care. We have an abundance of dog-friendly toys and equipment on hand for dogs to play with. Dog wash facilities State of the art dog wash facilities, suitable for dogs of all shapes and sizes. State of the art dog wash facilities, suitable for dogs of all shapes and sizes. Our self-service dog wash facilities include dog-friendly shampoo and conditioner as well as a hair dryer to help speed up the drying process. Dogs love to have a play on our active agilty course. It not only keeps them physically fit, it helps keep them mentally active too. After a busy morning playing, there is nothing like lying down beside your best friend for a comfy nap.